Sign Up For Our Newsletter & Receive a 10% Coupon Code! 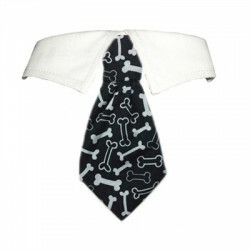 Oscar Shirt Collar & Tie for Dogs! Bones, Bones & Bones! Dress-up collar with detachable tie. Velcro closure. 100% cotton. Sizing: .. 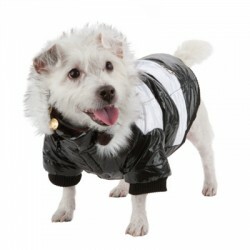 This stylish & fashionable parka looks great where ever you walk your dog. Features inner fleece lin.. 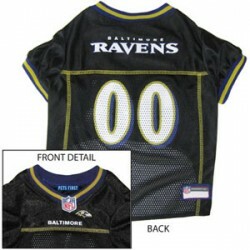 Doesn't your four legged family member deserve an officially licensed NFL dog jersey! 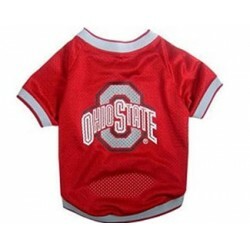 This Balti..
Officially licensed collegiate football jersey for your dog! Your pup can join in on game day! 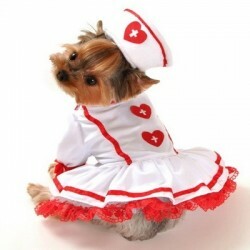 The j..
Two piece Alpine boy dog costume, includes lime green lederhosen pants costume with flower appliques..
Two piece cutie nurse dog costume, includes lace petticoat dress with red heart prints on ..
Soft and Beautiful, the Garden Gate Raincoat is perfect for keeping your pup looking chic while it r.. 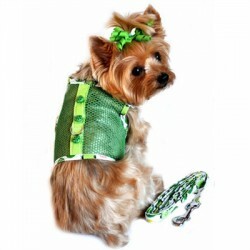 This cool mesh dog harness is perfect for summer. 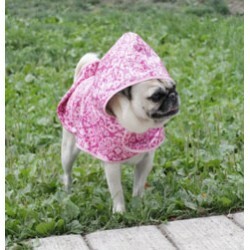 Your fur-baby will walk in comfort and style.. Perfect for the holidays or any special occasion! Made with a very high end iridescent burgundy sati..
Two piece kandy corn tiered dress with lace trim and matching white, orange, and yellow hat! 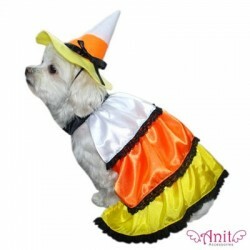 ..
Holiday Dog Costume For That Little Angel In Your Life The body is made with a Poly/Cotton Blend .. 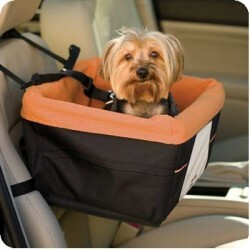 Buddy Belt's patented design is perfect for any dog. 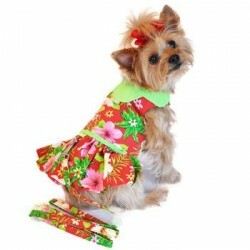 This harness is designed to be choke free which..
Beautifil Hawaiian Dress featuring Brilliant Colors of the Islands. Comes complete with.. This beautiful Crystal Turquoise Dress was designed with a Beautiful Embroidered Turquoise Crys..
Smart & Sassy Nautical Dress featuring classic Blue and White Stripes, Anchor Print Sk.. 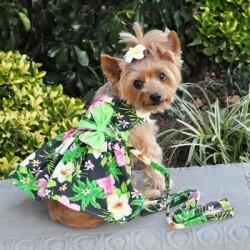 Welcome to Doggy in Wonderland...where chic doggies shop! Please shop with us online! 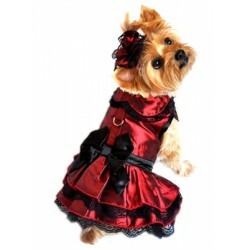 At Doggy in Wonderland, we consider our pets family. We know you do too! 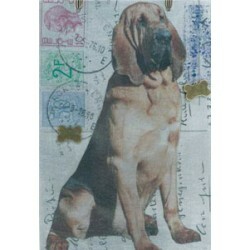 And we also know you love finding fun, luxurious and unique dog products for your four-legged family member. 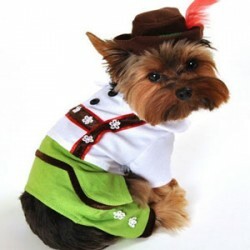 At Doggy in Wonderland, you'll find everything from novelty dog toys to designer dog clothes and so much more! We are continuously adding new products to our line so check back often and follow us on Google+, Twitter, Facebook, Pinterest, and our Blog for updates on new items. 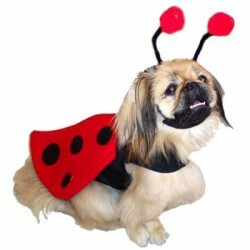 As is our policy, a portion of ALL proceeds will benefit local rescue organizations!